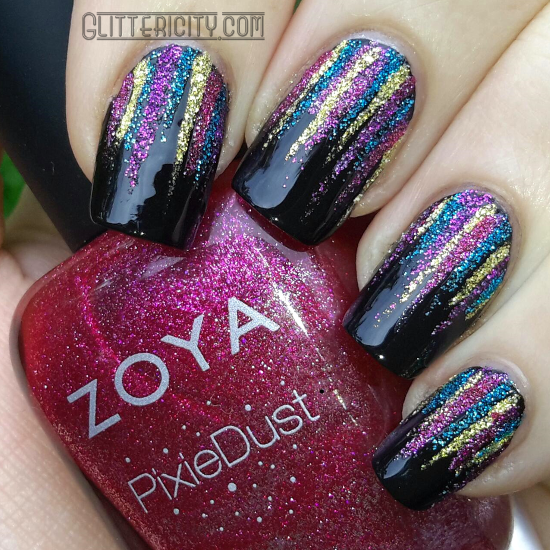 The base is simply a coat of Wet 'N Wild Black Creme, and the four Zoya Pixie Dust colours I've chosen for my waterfall are Liberty (blue), Solange (gold), Carter (purple), and Arabella (pink). 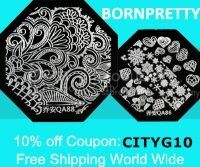 The thin striper brush I used is from Born Pretty Store. 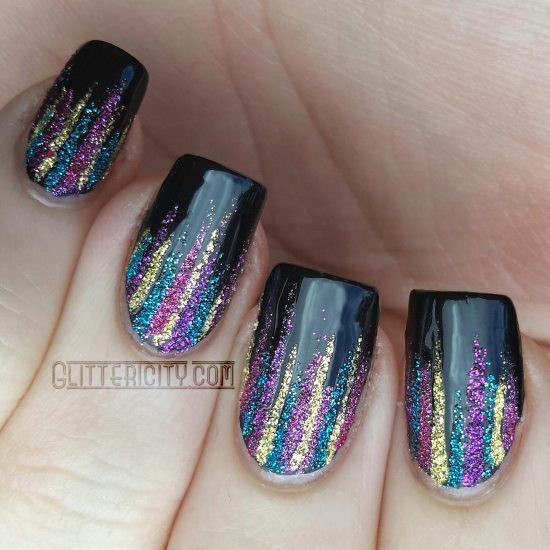 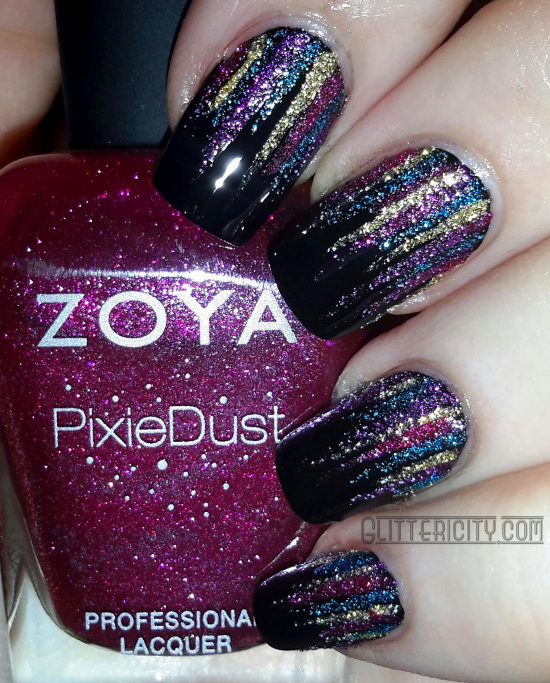 I didn't topcoat these--I really love the texture of these polishes and how they sparkle over the black!